Chaos theory says that small inputs in an enormously complex system can produce large-scale outputs. This is the aforementioned butterfly effect: When a butterfly flaps its wings in South America, a thunderstorm can develop a few continents away–over Brisbane, Australia, let’s say. Scientists now propose that the evolution of our solar system may adhere to chaos theory and that billions of years into the future, Earth could collide with either Venus or Mars. 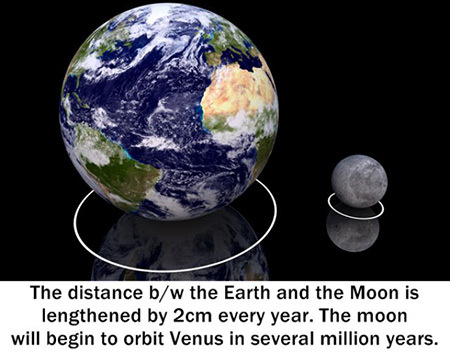 Or, in more recent times, several million years, the moon will start orbiting Venus. Continue reading for more.